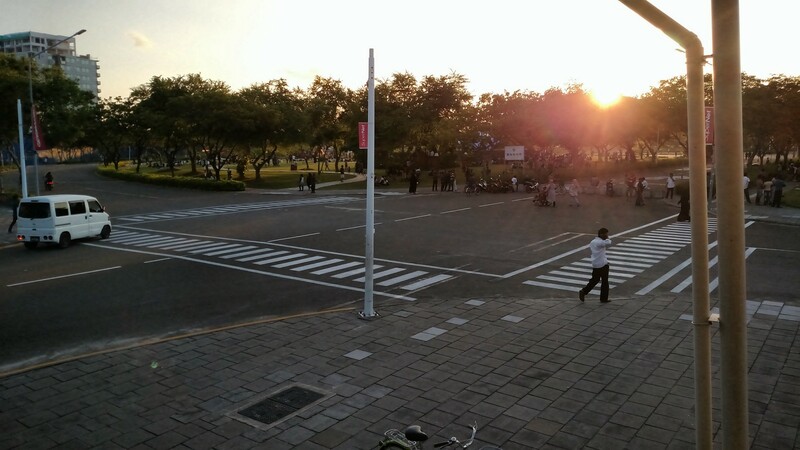 On September 25th, I stepped out into brilliant sunlight at Malé’s international airport. Two ground crew in modest heels, yellow reflective vests, and navy-blue hijabs directed us around the wing and into the terminal. An hour later I was on a bus along the access road to Hulhumalé, a massive island which the Maldives’s Housing Development Corporation is building up from the reef. First design requirement: two meters above sea level. 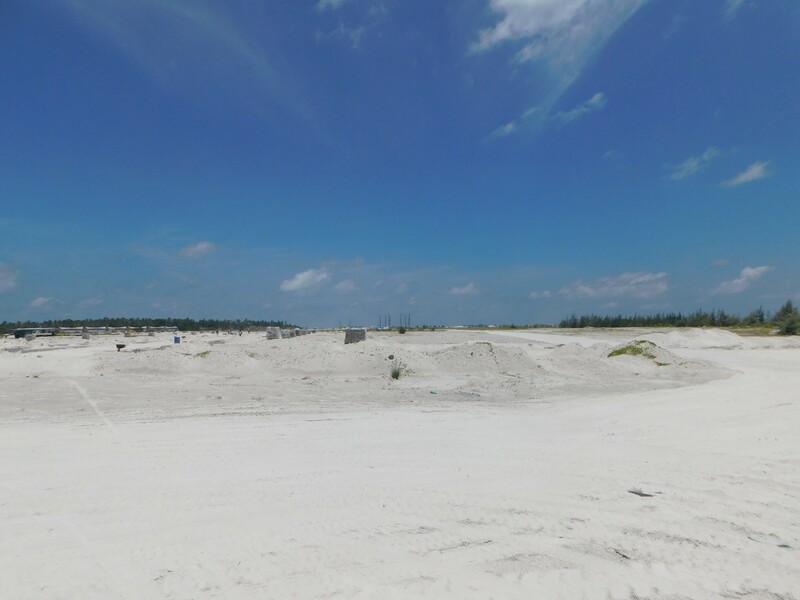 With its natural islands famously all one meter or less above the unpredictable climate-changing seas, the Maldives is building Hulhumalé to last. 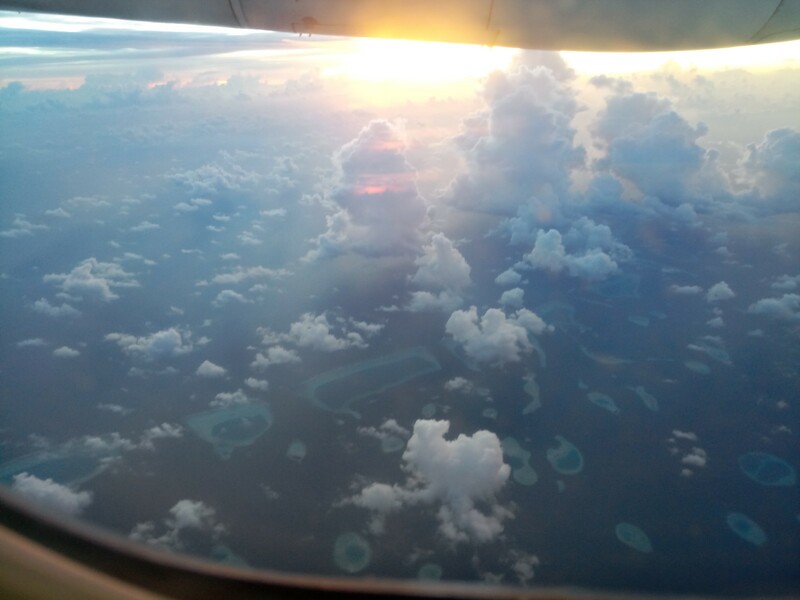 It’s my first trip to the Maldives, to complete a mapping and translation project, plus take a little vacation time. A short ferry ride away is the capital Malé, an island where sultans reigned, minarets call the people to prayer, and the local language (Dhivehi) has ties to Arabic, Hindi, Sinhala, and English. Meanwhile, there is another reason why construction of this new island started in 2006, and why people are already moving into the apartment blocks of Phase 1, playing in the three adjacent cricket pitches in Central Park, praying under a mosque’s golden dome, walking the shelves at grocery stores. There’s even an online portal and app “My Hulhumalé” for e-government services. The key point is that none of this lifestyle would be possible on the smaller, remote islands. 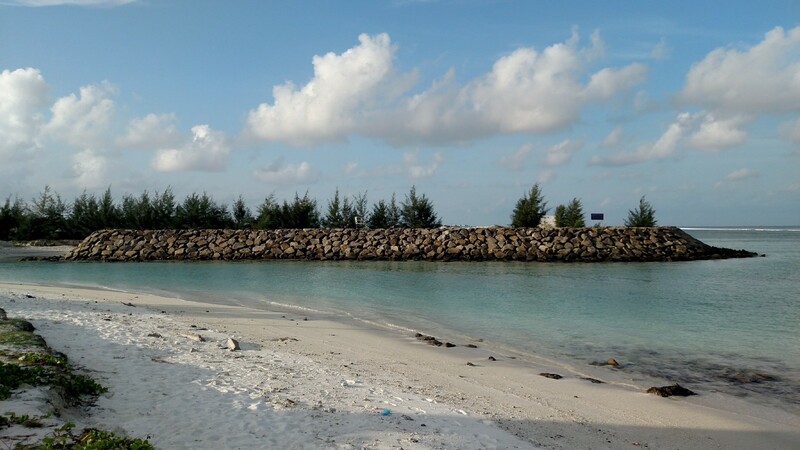 On a recent trip we stopped at Gaafaru, forty miles from the capital. Even as we improve and miniaturize our technology, each of the 188 populated islands cannot have its own hospital, school system, storm barriers, and other services. When international development and foreign aid experts talk about the ‘last mile problem’, they let most countries forget their teeny-tiny towns, their isolated and nomadic people. But for countries like the Maldives with most people living in remote places, inching toward those metrics and development goals will take less forgetting and more relocating. It will change communities and cultures, but it will save lives, too. Reports are that as much as 70 percent of the country might live on Hulhumalé in the future. This is a public and naturally controversial goal of the program, and I’m not sure how it was calculated (38 percent currently live in Malé, so will most move to lessen crowding? What about other urbanized islands like Addu Atoll..? So many questions). It’s one of a variety of rumors and proposals circulating. 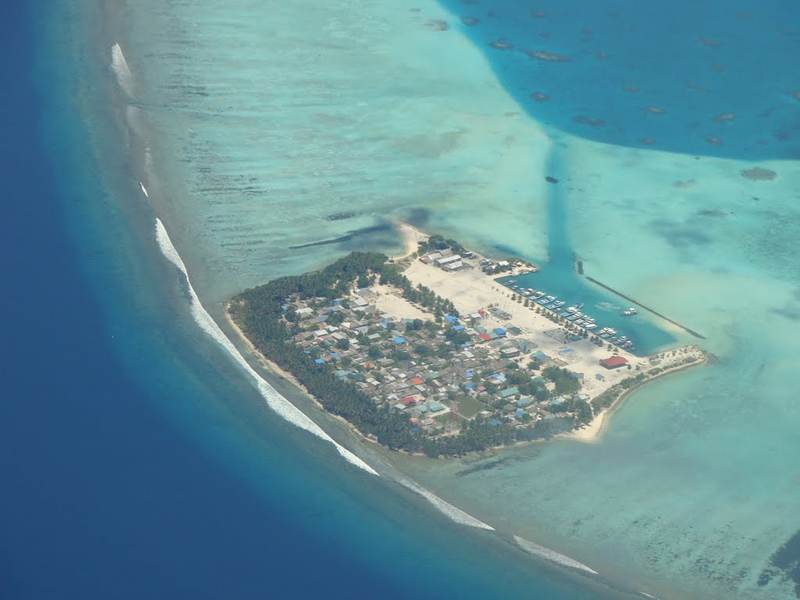 Will Saudi Arabia purchase Faafu Atoll and relocate the islands’ residents? 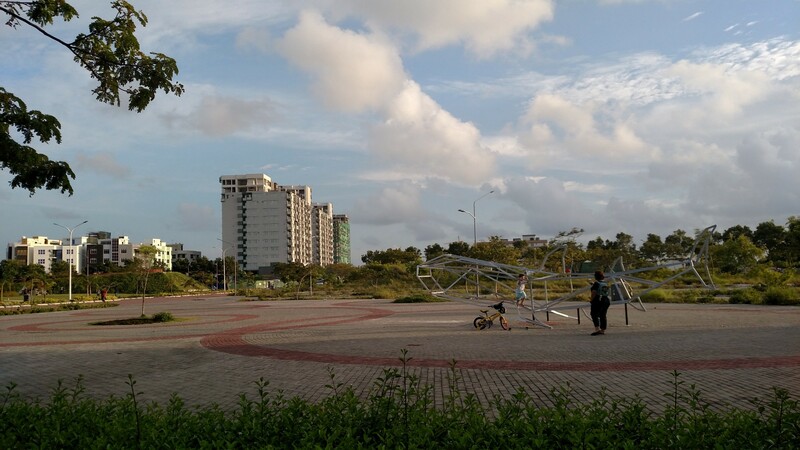 What of the massive Chinese Friendship Bridge which will connect the airport to Malé? It already makes an appearance in cheery murals around the capital. These are things that I can’t fully explore in a little ground survey of the islands. At first all I could see at the north edge of my neighborhood was a wall of small trees. After assuring the guard that I wouldn’t stray, I take a few steps into Phase 2, and am blinded by coral white sand stretching in all directions. A few workers on lunch break zip by in everpresent motorbikes. To the left you can see a line of two-story hotel buildings which was once Club Med on Farukolhufushi, now consumed by the new island. On the balconies today you can see clothes drying. I wonder what someone standing here will see in five years. Maybe this. Care is being taken to avoid the stereotypical cold urban environment. Phase 1 surrounds a large Central Park with rings of fields, a bridge over a pond, a few artistic touches. On the Friday-Saturday Islamic weekend it is full of picnickers and Instagrammers. Down the street at a bakery, I notice people stooping to play with cats, sort of a rarity (cats are ok, dogs are banned). It’s striking to see a community which is being built up from the sea, created, and defined culturally in one stroke. 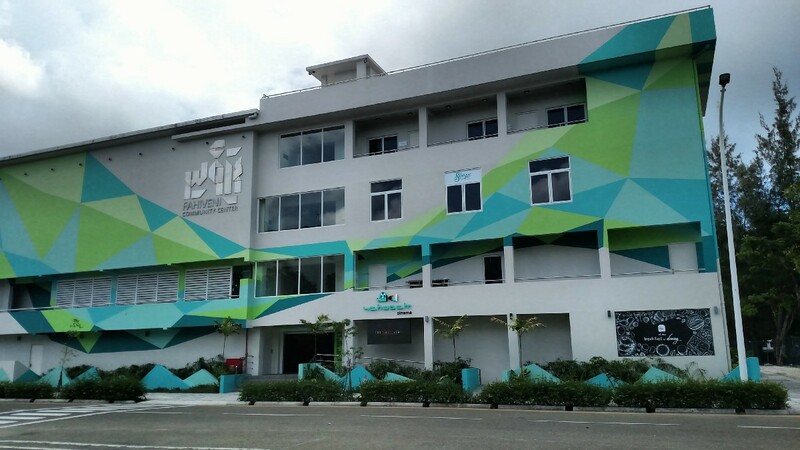 According to the HDC, the master plan comes with the help of two experts at the National University of Singapore, which might leave its own impression on a country which only had one major city before. Is Hulhumalé a Noah’s Ark which will carry the Maldivian people through this century? A threat to the disparate cultures on the atolls spanning hundreds of miles? It’s too early to tell, and difficult to compare to anywhere else on Earth. Truly I was dumbfounded.